LOVE ON PURPOSE visits the most common relationship issues and how to work through them in love; from managing unrealistic expectations to improving communication. Coleman shares honest reflections on growth, past mistakes and important lessons in love through her journey of becoming a Christian. Her accounts of learning about God’s love caused a transformation in her relationships with friends, family and her significant other. In the book she also challenges readers to do their own self-assessment through “Heart Checks” at the end of each chapter. Starting with a conversation she had with her now husband, the book begins with her realization that love is indeed a choice. A Limited amount of signed copies. As an indie author, a book only gets as far as its supporters. If you are looking for ways to help share about the book, here are some ways that you can do so! Write a Review - Amazon reviews are like gold for indie authors. If you read the book and you find it useful and encouraging, pop on to Amazon.com or GoodReads in order to write a review. Just a few minutes of your time can really help the book's visibility. And if you don't like it, well keep it to yourself please? LOL. Share on Social - Social media allows us to reach so many people faster! Don't keep this good stuff all to yourself. Help get your followers together in love as well! If you share on social, just be sure to use the hashtag #loveonpurposebook so I can see and repost or retweet! Ashley Coleman is a writer and entrepreneur based in Philadelphia. The cultivator of the online space WriteLaughDream.com, she writes about life, love, and pursuing goals as a writer. Her work as a writing mentor helps other writers develop their voice and writing habits through one-on-one sessions, courses, and workshops. The author of Dear Love: A Love Letter to You hosts women’s brunches on the east coast, has been a guest lecturer at Temple University, and spoke as an invited guest at the Meet the Author series at the Pyramid Club and Blogalicious 8. Her freelance work has been published on GRAMMY.com, Essence.com, JUMP Magazine and more. 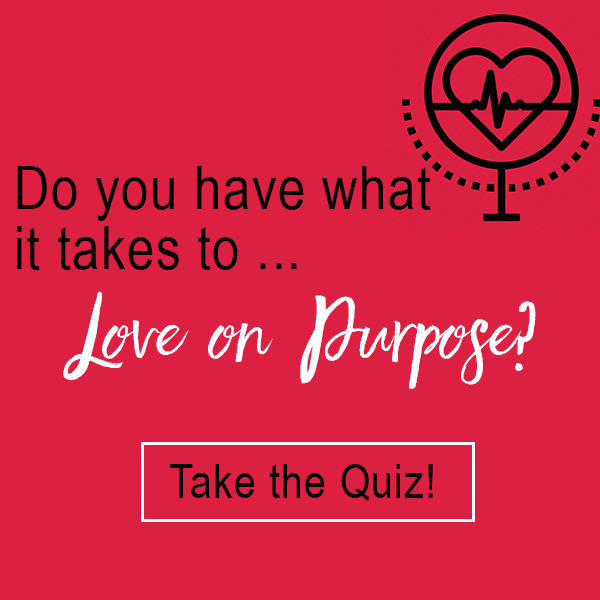 I had the opportunity to chat with some amazing people about what they think it takes to Love on Purpose. Anthonia Akitunde of Mater Mea, author Kevin Carr, and music producer (and my husband) Dilemma just to name a few! We talked all about effective communication, self-care, realistic expectations and mindfulness when it comes to relationships. Take a listen to these insightful conversations that are sure to make you think. Have you been mindful about the decisions that you make in love? It's so easy to think that love is just something that happens to you, but as you grow, you realize that you get to choose how you love others regardless of who they are! Being able to love on purpose is all about being intentional and mindful about the everyday decisions that we make. So, I made a fun quiz just to test you! The hope is that after you read the book, you may be even more equipped in this process. Take a minute to go through the quiz and answer honestly to see where you rank! I'm such a big fan of music. I think it has the ability to convey so much of what we think and feel. Love is so complex really. Look at how many songs have been written about it! To get in touch about speaking engagements, events, interviews or more in regard to Love on Purpose, contact ashley@writelaughdream.com or you can use the contact form below.